figuratus & symbolicus... 1695, p. 320. 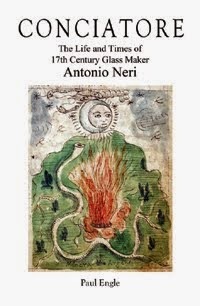 In the early seventeenth century, when Florentine alchemist Antonio Neri was busily making glass, there was a fundamental change afoot in the thinking about nature and how it works. Throughout the Renaissance a great deal of effort was spent recovering ancient Greek, Egyptian and Roman texts. It was widely recognized that much of the technology and learning of those civilizations had been lost or forgotten in the intervening millennium. One need not look any further than the great architectural monuments left behind; structures like the Roman Pantheon that Renaissance architects marveled at and had difficulty in matching. These were an ever present reminder at how far the state of technical knowledge had slipped. As a result, attentions focused on looking back to the past for answers, but in the mid-sixteenth century a new philosophy of ‘experimentalism’ started to take hold. Some of the ancient traditions, like the Aristotelian four element model (earth, water, air, fire) were disappointing in their failure to predict outcomes of new work in chemistry and medicine. The time was ripe for change and in certain circles new models came into favor like those of Paracelsus. He based his theories of chemistry and medicine on empirical experience – what actually works as opposed to what the ancient authorities Galen or Dioscorides said should work. Galileo studied actual falling masses and pendulums to lay new foundation for physics. A lively debate argued the merits of learning about nature by direct observation. A general term used to describe the areas of study where the principles were not immediately evident was “occult.” Today, the word has come to mean supernatural, mystical, or magical beliefs, practices, or phenomena. But in the early seventeenth century the connotation was different. 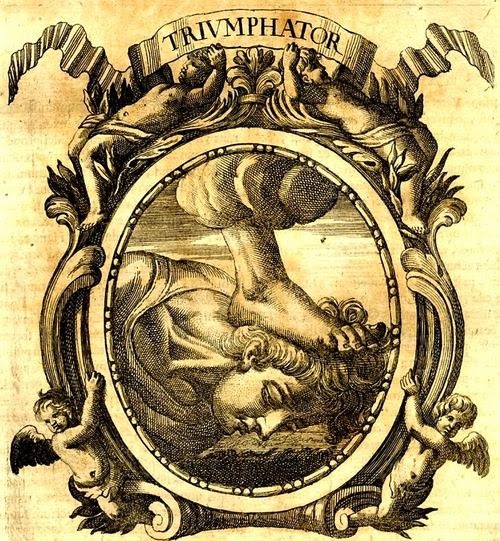 The entry in John Florio’s 1598 Italian-English dictionary reads, “Occulto: in hugger-mugger, hid, privie, that is not knowne, very secret, to lurke, to cover, to hide cleane that nothing be seene.” In other words, the occult dealt with hidden knowledge and experimentalists aimed to uncover it by careful, direct observation. It was in this environment that Antonio Neri came of age in Florence. From letters to his friend Emmanuel Ximenes, it is clear that he tried many variations before settling on a particular glass recipe: experimentalism at its best. While the empirical approach was a vast improvement over blind acceptance of dogma, it was no panacea. A repeatable formula was a valuable asset, but it did not guarantee understanding, or that correct conclusions would be formed about what was actually going on. “Occult,” it turns out was a very apt description of the realms beyond human understanding, because invariably these realms involve processes of nature that are outside of our direct perception; hidden as it were. Today, empirical evidence remains the gold standard of scientific investigation, from small chemistry laboratories to giant particle accelerators which probe the subatomic realm; a repeatable experiment is the first step to understanding a bit more about nature’s “hidden” ways. One striking difference between seventeenth century efforts and those of the present is the great array of instruments we have developed to extend our senses into the “hidden” realms of nature. Antonio Neri relied on his eyes, ears, nose, tongue and fingers as instrumentation and in all likelihood this played a part in his death at the age of thirty-eight. We have the luxury of technological gadgetry which both extends our perceptions and at the same time shields us from the potentially toxic effects of the materials in nature’s playground. It is a tough playground, and we are relatively small, imperfect creatures, but it is the only world we have; we might as well try to understand it.